Make a statement about your heritage, recall a favorite place, honor your hometown or its history. 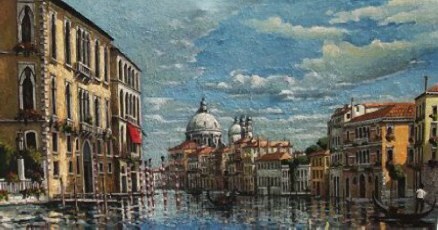 Demolli Fine Art Studio offers works by Jesse Demolli, a fine artist and muralist trained in Florence, Italy. 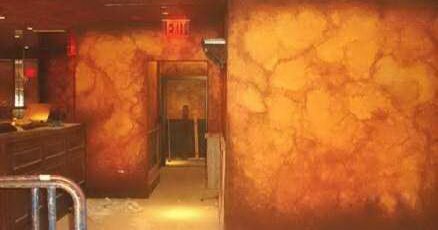 We specialize in custom murals, oil paintings, portraits, scenic backdrops, decorative finishes and restoration of oil paintings and antique frames. 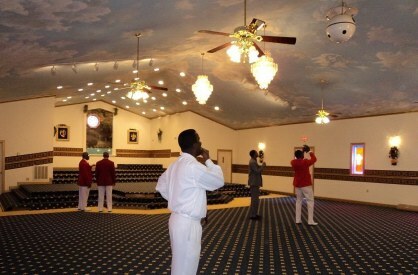 Ceiling mural at the Cathedral of Deliverance in Fruitland, Maryland. Artist Jesse Demolli is proud to announce that he was hired to paint a ceiling mural at the Cathedral of Deliverance in Fruitland, Maryland. The Ceiling will include clouds, Doves and the face of Jesus in form of clouds. 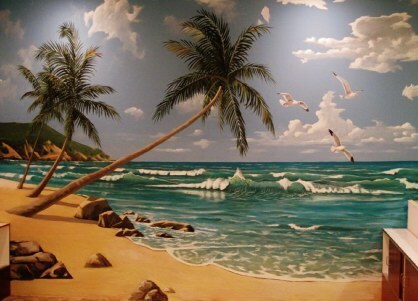 Beach scene mural at Solace Day Spa. Artist Jesse Demolli paints a beach scene mural at Solace Day Spa in Sterling, VA.
Jesse Demolli paints Kintai Bridge. 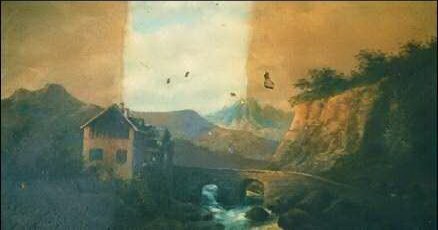 Artist Jesse Demolli was hired to paint a mural of Kintai Bridge, Japan. 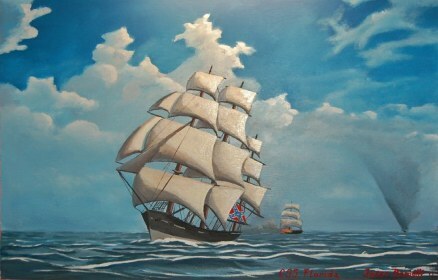 Fine Arts - Oil Paintings.